1Z50 (04:48 Derby -) Saltley - Swanage. Hoover time! 50007 Hercules was new as D407 to LMWL (London Midland Western Lines) on 16th March 1968, later to DO5 (Stoke Division) and CD (Crewe Diesel), all in effect Crewe. In May 1974 it was reallocated to LA (Plymouth Laira). Refurbished at Doncaster between September 1982 and February 1983. 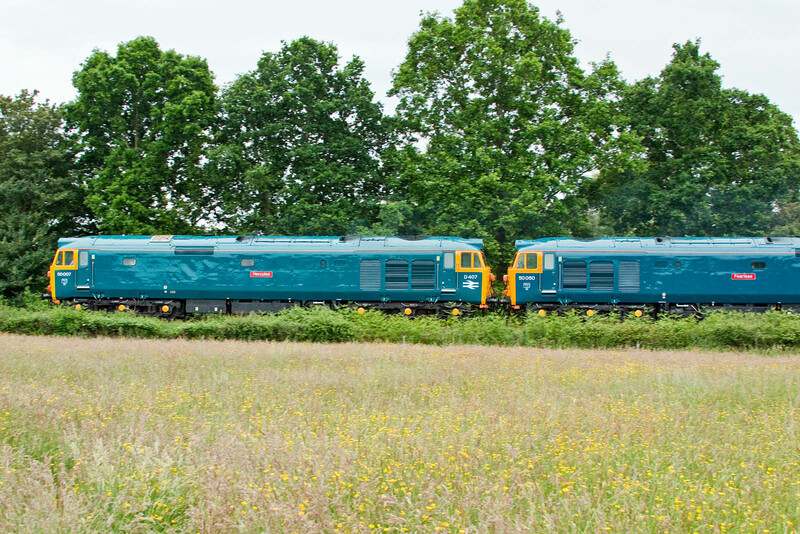 The locomotive was withdrawn after the final BR Class 50 railtour on 26th March 1994, working in the same pair as here in 2016. Preserved by the Class 40 Appeal at Butterley, until sale in 2013 to Boden Rail Engineering. 50050 Fearless was completed at English Electric / Vulcan Foundry in August 1967. 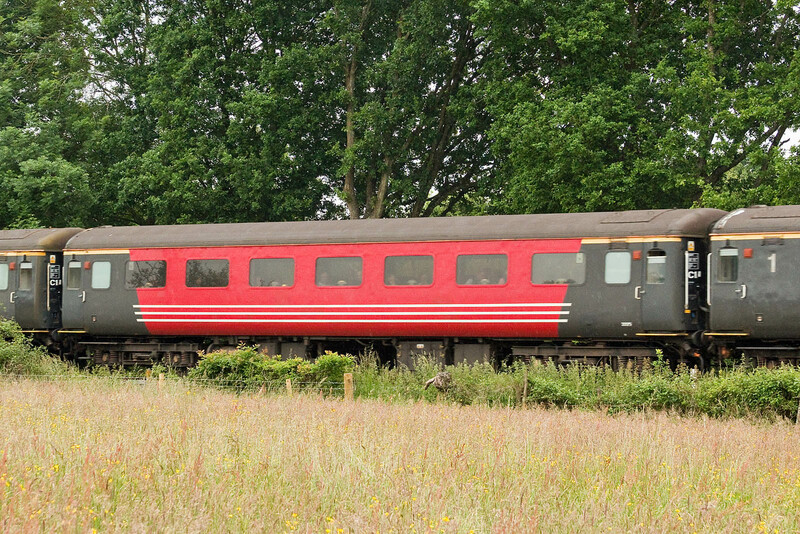 Allocated new to LMWL on 7th October 1967 as first of class D400. The allocation was later changed to DO5, but it was moved to the WR at BR (Bristol Bath Road) between October 1972 and May 1973, then back to the LMR at CD until May 1974 when it again went to the WR at OC (Old Oak Common). Refurbished between January - July 1983. 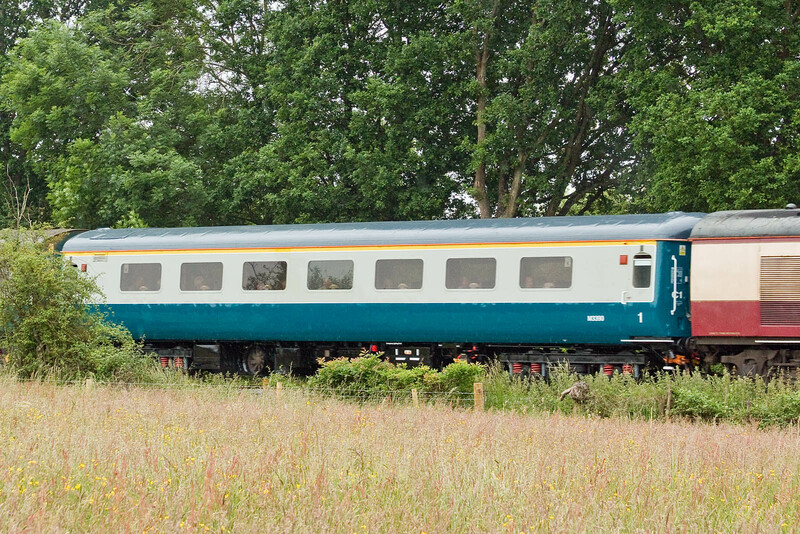 Similarly to 50007, it ran until March 1994, and was then privately purchased, latterly kept at the Yeovil Railway Centre, before sale to Boden Rail Engineering in January 2015. 3325 is a Mark 2F FO, from Lot 30859, built by BR Derby, and placed in traffic in December 1973. Still in basic Virgin Trains colours. 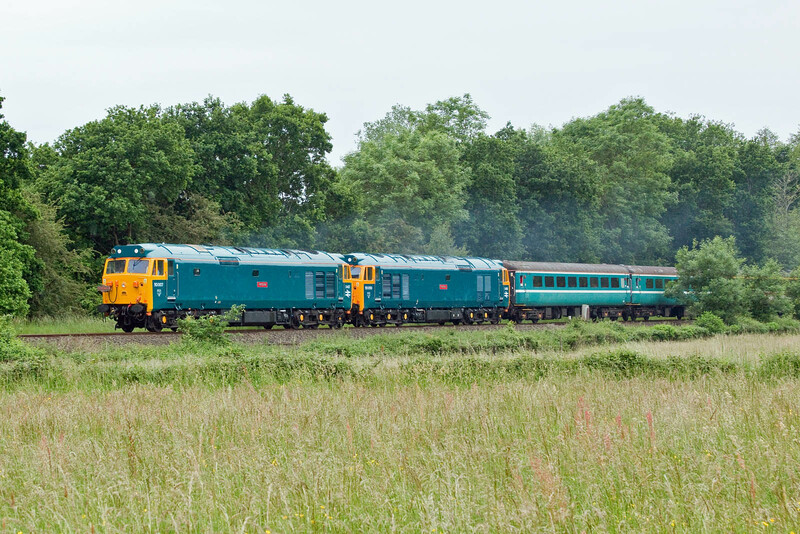 3390 comes from the same lot, also being delivered in December 1973. More recently it was 'Constable' in the "Great Briton" set. 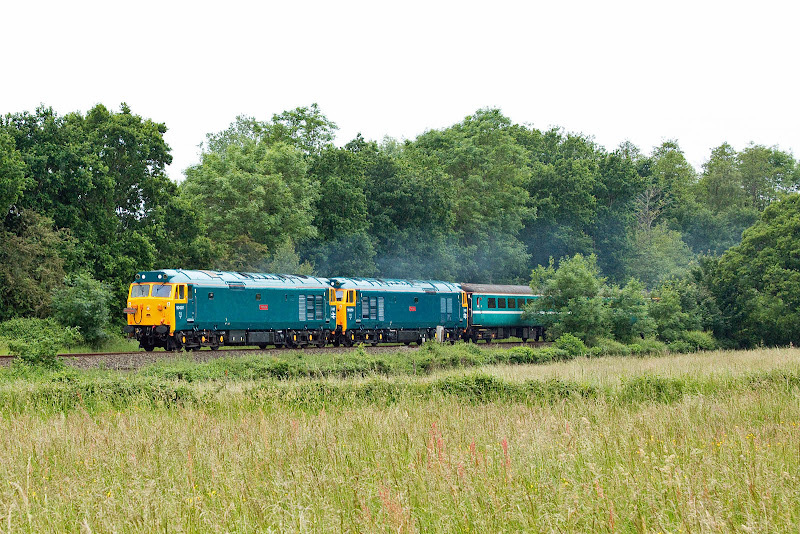 Further pictures of today's train.